Enjoy a hassle free and convenient holiday in Taiwan by travelling to major scenic spots with Taiwan High Speed Rail or Taiwan Railways Trains. Choose from 3 Day Consecutive/Flexi Pass or 5 Day Standard/Express Joint Pass depending on your travel needs. Passes are only available for foreign visitors and must be purchased outside of Taiwan. Child 0-5 travel for free sharing seating with parents. Maximum of 1 child per adult. 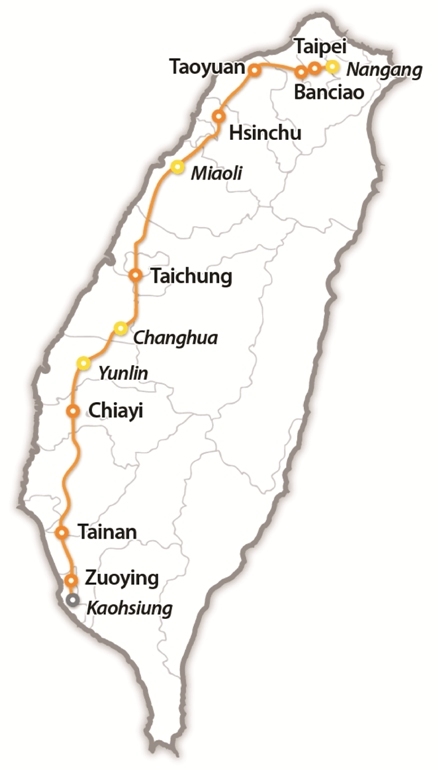 Seat reservations for Taiwan High Speed Rail are free. Pass exchange MUST done within 3 months upon date of issue. Thank you for your purchase of rail passes. We will get back to you within the next 3 working days.